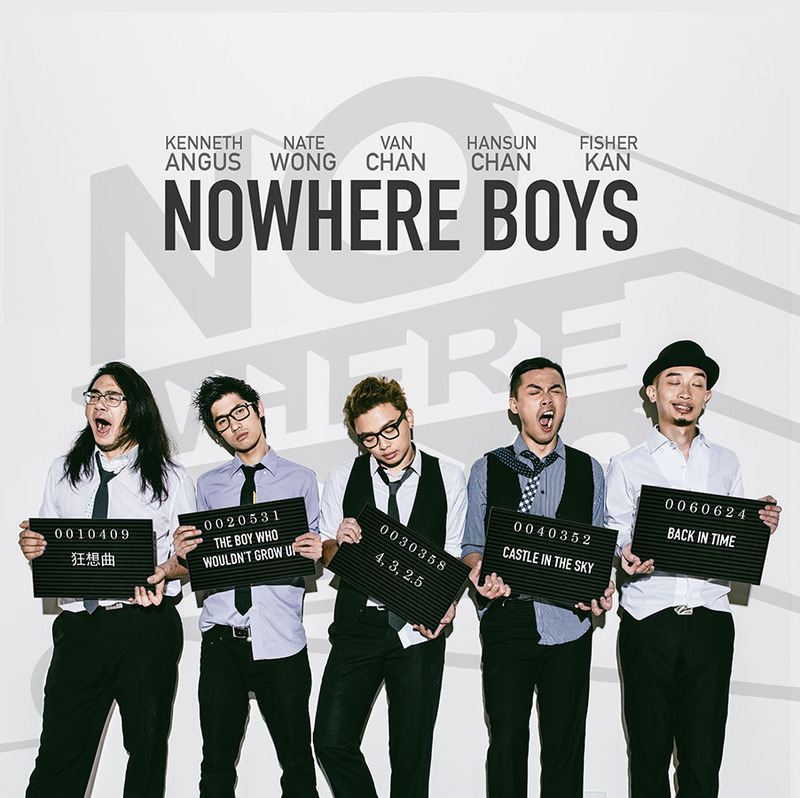 For their first E.P, the Nowhere Boys showcase their many talents by seamlessly blending rock, pop, and classical across 6 diverse and attention-grabbing songs. 01 狂想曲 (feat. Heyo) This track can only be a nod to one of the greatest gregarious rock bands: Queen. The constant switchups in styles keep the listener engaged at all at times, and guessing throughout. With its big guitars and smashing drums, the classical overtones and interludes are highlighted, rather than lost. Trying to integrate two distinct genres is something that’s so easy to get wrong, but with The Nowhere Boys, it works. Heyo’s rap breakdown towards the middle is totally on-point with the tone, and offers yet another vision of where these boys could go. 02 The Boy Who Wouldn’t Grow Up: Continuing where they leave off, this total change in character again shows off the band’s versatility. The beat and guitar hits in the verses have an almost disco feel to them, as does the bass, while the synth effects are comfortingly fitting in the background, like the best of the 80s. It’s reminiscent to Gorillaz’ Melancholy Hill in the sweeping backing track, overlayed with light harmonies and lyrics. The addition of less traditional percussion is welcome, and brings out the punchy bass line as well as the main drums. The pre-breakdown is a shame, due to some rushed guitar, but becomes really gorgeous as it builds into a final chorus. The little interlude is a comic twist, and where usually these can be tacky and annoying, it’s endearing here and a nice playful addition to a great song. 03 4,3,2.5: The E.P is like a musical tour of your iTunes, hurtling from easy-listening pop to classic rock to alternative and back again. This rock track has traces of all the brilliant classics are there: heavy distortion hits, great drums, and screaming hot licks. The chorus is a really catchy, singable, almost yellable mixture of sentimentality and energy that could easily fill a room. 04 Castle in the Sky: Things are toned down for a softer moment in Castle in the Sky (still not sure if it’s an overt reference to Les Miserables but time will tell) but sadly the production is a bit overbearing and mushy, while the song itself is dying to break into something heavier but isn’t able to. The musical interlude is probably the best part of the song, with delicately arranged violins giving way to a crunching guitar solo. Ultimately it’s a good rock ballad, but doesn’t quite cut it in terms of originality. 05 推石頭的人: For one, I can’t understand why you would want to put your two sad songs next to each other on an E.P. Once we’ve been roused out of our state by the end of 04, we dive straight back into more strings and solitary sevenths. Essentially, this is the same song as 04, which means the effects of both are totally lost, placed as they are in the running order. 06 Back In Time: Along with狂想曲 (feat. Heyo), this is by far the most impressive track in terms of scope, fading in and out as it does. The sound ebbs and swells, growing and building into a beautiful chorus which, sadly, feels slightly lacklustre. The backing really is fantastic though, with only the chorus and vocals needing a slight tweaking to really give this one the legs. It has all the makings of a great song, but somehow doesn’t seem to switch into 5th gear until the synths slide in after 4:30mins. Even then, one gets the impression that this has the potential to be the incredible finale it’s yearning to be, but it’s not quite there yet. In fact, the final chorus sounds like an early Coldplay, but is more lost than it could be in the rolling waves of synths. Overall: The Nowhere Boys have truly staked their claim and displayed some real talent on this E.P, with their wide-ranging songs, impressive musical skills and near-perfect production. But my biggest gripe of most E.Ps remains: it doesn’t feel like a coordinated effort, more like a bunch of songs that have been recorded and shoved together to “produce something”. Of course this is understandable, what with the demands of record labels and the desire to “get out there” but ultimately with a little extra thinking, this E.P and band can go from very good to great. And with songs like these I’m sure they will.